Phillip Wayne Buchanan, Sr., 72, of Newdale, joined his Lord and Savior Wednesday, September 12, 2018, at his home. 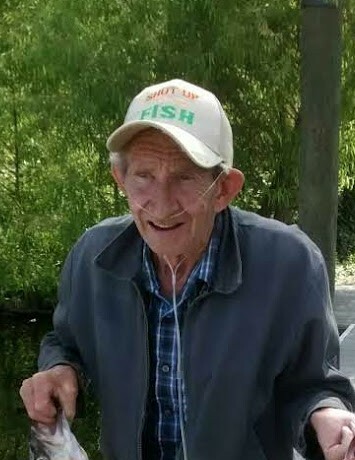 Phillip was an avid fisherman who loved the outdoors and warm sunny days. He enjoyed trips to Cades Cove and took delight in the serenity of his God’s work. Phillip was a devoted and faithful member of Windom Baptist Church for 25 years until his health declined. Family who awaited his homecoming in heaven are his parents: Austin and Maude Huskins Buchanan; sisters: Virginia Smith and Edith Smith; brother: Lloyd Buchanan; two children: Dennis and Elizabeth Buchanan; and, one infant grandchild. Family who are here to celebrate his home going are his loving wife of 51 years: Charlotte Robinson Buchanan; daughter: Tammy Thomason and husband, Buck; sons: Wayne Buchanan and wife, Stephanie, and Arnold Buchanan and wife Brandy, all of Burnsville, and David Buchanan and wife, Amanda, of Spruce Pine; 14 grandchildren who were his pride and joy: William, Tiana and Michanda Thomason, Daniel Buchanan and wife, Whitley, Natasha and Noah Buchanan, Mykaela Clemons, Melissa Bryant and husband, Ryan, Tiffany and Joshua Buchanan, Brandon, Blake, Brent and Brian Buchanan; 2 great grand babies whom he adored: Raelynn and Mylan Bryant; a sister: Irene Williams and husband, J. C. of Spruce Pine; and 4 brothers: Roy Buchanan of Bakersville, John (Worley) Buchanan and wife, Carol, of Burnsville, Eugene Buchanan and wife, Ann, of Hickory, and Larry Buchanan and wife, Carrie, of Florida. Home going services will be held at 1PM Saturday in Windom Baptist Church. His son, Rev. Arnold Buchanan, son-in-law, Rev. Buck Thomason and Pastor Randall Robinson will officiate. Burial will be in the Will Young Cemetery on State Highway 80 North at Booneford. The family will receive friends from 6 until 8PM Friday at the church. The family would like to thank Amy and Melissa and all of Yancey County Hospice, for all of their care through this journey. In lieu of flowers, the family requests that donations be made to Holcombe Brothers Funeral Home to assist with funeral expenses.